Pups | Honey, I Shrunk the Gretchen! Let me introduce you to Harry & Daxter, the loves of my life. I know you all are anxious to know ALL about them because you are clearly as obsessed with them as I am, so away we go! Fears: Nothing. Well, maybe the vacuum cleaner. But for the most part, he thinks he’s a Rottweiler. Because Harry is an absolutely amazing dog I don’t regret getting HIM, though I do wish that the circumstances had been different. In case the whole puppy-mill argument itself isn’t enough to deter you from purchasing pet store pets, you should also know that Harry suffers from a rare and chronic condition that painfully affects his nail beds, a likely result of his poor breeding. I feel very strongly now that people should be informed and be responsible about where they get their pets. 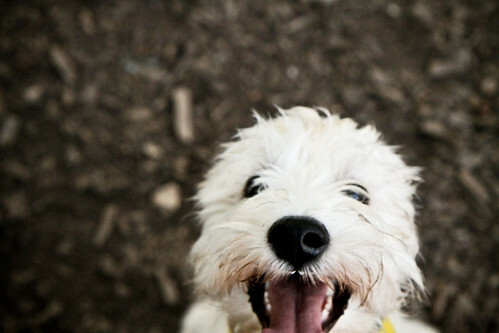 Have you heard that saying, “Dogs are not our whole lives, but they make our lives whole”? Well, no disrespect to the author who penned it, but my dogs really are my life. I’m not sure if that sounds crazy, or if maybe as a fellow dog-owner you might be able to relate, but they simply are the best. What kind of dogs are they? 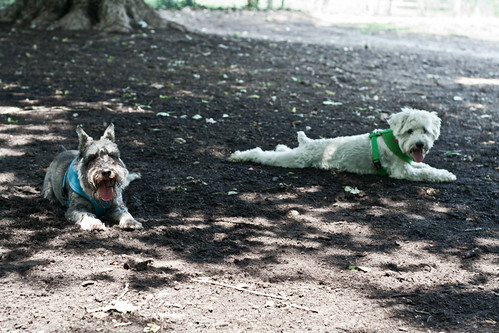 They are both miniature schnauzers. How much do they weigh? Harry weighs 24 pounds, and Daxter weighs 17 pounds. What kind of food do you feed them? Currently, Wellness Super5Mix Dry Dog Food for Small Breed Dogs . I love it, they love it, and it has amazingly restored a lot of Harry’s youthfulness and energy. Win-win-win! What cuties! Petland has soooo many ADORABLE puppies, but I dislike going there. 🙁 It’s okay; you didn’t know! I just stumbled across your website, and I love it! I also love your dogs! 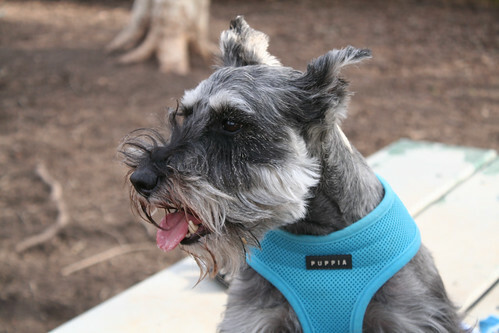 I grew up with two miniature Schnauzers, and I love them. One of our dogs really loved pizza crust too! Now, my family has two poodles, but I love both breeds! I just happened to stumble upon your site looking for encouraging weight loss blogs, it is now bookmarked! I loove your puppies! I have a miniature pinscher who has parts of each of your dogs personalities in one cute little bundle. She’s pretty much afraid of everything, loves barking and destroying things I really wish she wouldn’t (think my underwear…so upsetting!) and EVERYDAY I come home she follows me into the bathroom, it’s like her habit. I also got her at petland and had no idea what they did when the puppies were there to long. She was there for a LOONG time until I finally bought her (she was on sale she was there so long), knowing that she may have been days away from being “sent back” makes me tear up, I had to go over to her and have a “cuddle session” with her when I read that. ANYWAY…now that this is a book, I just felt the urge to comment on this. My dog is definitely my life, I don’t know what I’d do without her. I don’t want to give into petland and other stores like them, but if they puppies end up being put down because their not being sold I want to go in and take all of them. It’s a catch 22. OH MY GOSH! I just made the book into a novel, I’m sorry, I’m done! I loved reading your “novel” girrrrl! 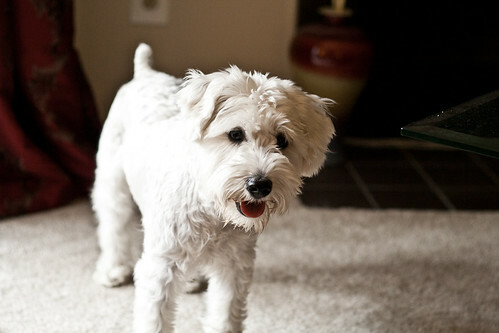 I can totally understand your torn feelings of having gotten a puppy farm puppy. I feel simultaneous shame and guilt for both having contributed to the business, but also to the fact that I love Harry so much that I can’t say I wouldn’t do it again! 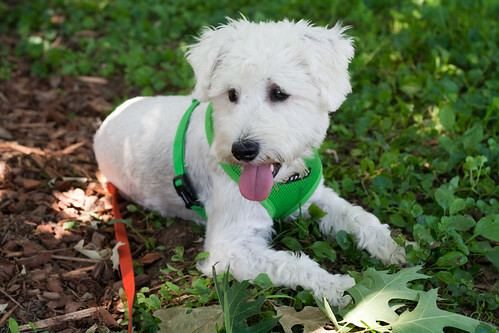 I know it’s not like I knew what Petland was like when I got him but still… ah well. Your lucky he hasn’t destroyed any! My little girl unfortunately has good taste (gross pun NOT intended)and goes right for my more expensive Victoria Secret undies. It’s so frustrating! I rarely shop there and as soon as I do there she goes! She’s gotten out of the habit recently thank goodness! P.S. I’m using your blog as an inspiration to get me to lose all this gross weight I’ve gained since high school (so upsetting! )but I can’t seem to get myself motivated. I’ve tried with no success and I feel like there’s just no hope. Any advice? I’d love to start running especially now the weathers getting cooler, I’m in South Florida so by cooler I mean 88 instead of 95. Harry & Dexter!! You guys are just so darling! Do you guys like to give hugs around the neck too? 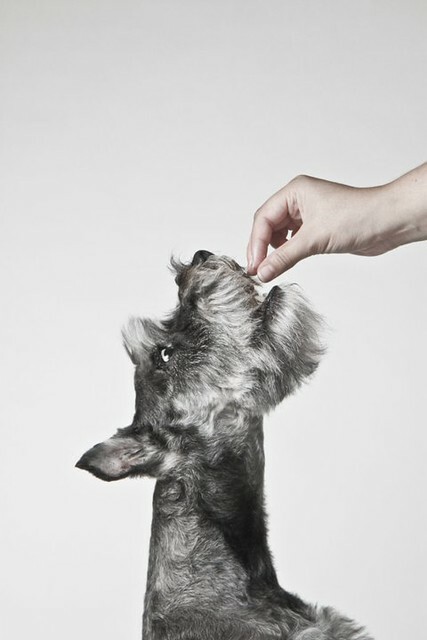 Apparently that’s mini schnauzer’s specialty! I wish Kona can join the party. 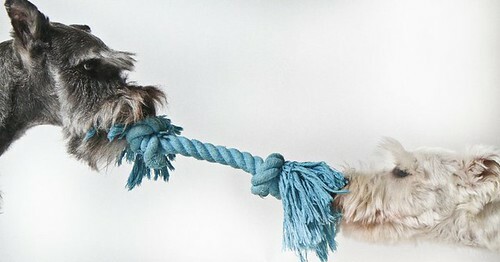 He’s quite lonely by himself..He loves tug-o-war ;). 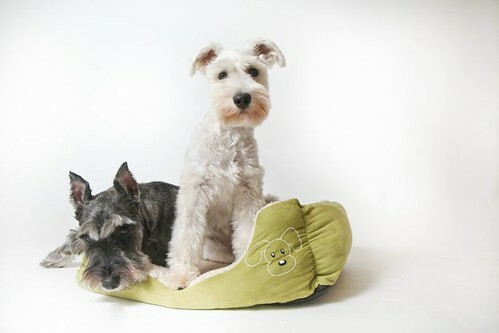 I love, love, love all of the schnauzer love!! I stumbled upon your blog from Julie’s and love it! 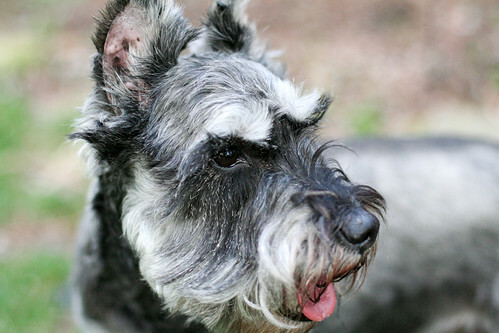 I, too, have 3 miniature schnauzers (Dixie, Maddie, and Tank) and graduated from JMU in 2001. Keep up all of your hard work! OH MY GOSH KIA, Simba is soooooo cute!! I love your blog… I mean, HIS blog, hehe. I’m glad you found me! !